Korang Perasan Ke Artikel The Sun – “Two ‘Budak Cina’ in a Malay Household” Semalam Eh ? mengimbau kenangan sebelum merdeka tuh beb ! IN this poignant tale that grew out of a eulogy for his late elder brother Say Teik, MARTIN LIM recounts their extraordinary teenage years – two “budak Cina” growing up in a Malay household in Kampung Teluk Wan Jah, Alor Star, and the lessons he learnt that have shaped his life. The story, invested with delightful details, transports us to a gentler era around the time of the declaration of Independence. THE year was 1955. Alor Star was your typical small town in pre-independent Malaya. Seemingly quiet on the commercial facade, but buzzing with life behind its private residential walls. 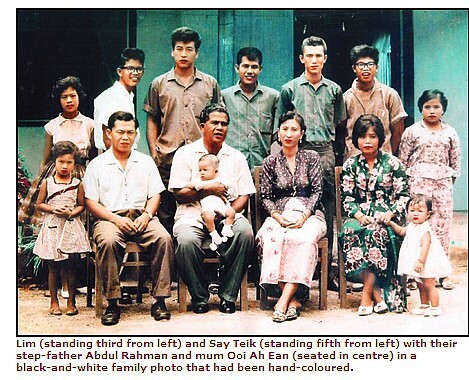 Pekan China was a business street to the Chinese and running parallel to it was Pekan Melayu. This major thoroughfare was, and, still is, lined with a few kopitiam at its south end, and goldsmith shops to the north, ending with the beautiful, classical Masjid Zahir. The Empire Theatre sat imposingly, across from Pekan Rabu, on the eastern side, while Jalan Langgar on its south, was flanked by a mixture of shops, including the ever-present “chettiars”. Children, like me, in our respective loyal uniform, brown and white, green and white, white and white, were noisy as we made our way to school. It was not my usual morning, as I walked past my old school, St Michael’s, towards Sultan Abdul Hamid College (SAHC), my new school. The night before had been eventful. It was close to midnight. My father had fallen very ill. Our step-mother, his third wife, was worried. She asked me to fetch his personal doctor. I did, peddling my Raleigh as fast as my legs would pump, from Lorong Merpati where our small two-bedroom house was through the dark town, zipping by the majestic Balai Besar until, finally, curving in front of the eerie Nobat tower and across to the doctor’s fenced residence in Kampung Baharu. My yells were unforgettably loud in that midnight quietude. The screams woke him up. Some frantic identification and explanations followed. Satisfied and convinced, he drove to our house. Administered an injection, our father gradually found comfort and drifted to sleep, snoring loudly. He was breathing abnormally heavy when I left him that morning. An hour or two later, I was back in the house. My brother, Say Teik, had come by my classroom, and in between sobs, announced that our father had passed away. Even though my father had only recently been baptised a Catholic, his subsequent funeral and burial, three days later, was in traditional Buddhist, all to the tight-lipped insistence of Lim Eng Hoe, our strict grandfather. Our paternal great-great-grandfather, Lim Hua Chiam, was a past president of one of the more prestigious Chinese kongsis in Penang at the beginning of the last century. He was the “pendatang” in our family lineage, the first to emigrate out of Fujian, China, to Malaya. The true culprits lie in oneself, our arrogance, our unwillingness, our close-mindedness, our envy, our jealousy, our selfishness, our convoluted bias, and our fears. Race has very little to do with it. OMG! Memang best giler baca cerita dia. Dah la panjang! Tapi Saffa habiskan jugak sebab sangat menarik! Memang menarik cerita ni.. Masyarakat Malaysia yang majmuk! MERDEKA!